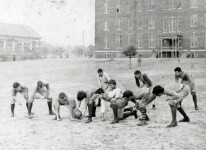 The 1892 Alabama Cadets football team represented the University of Alabama in the 1892 college football season. 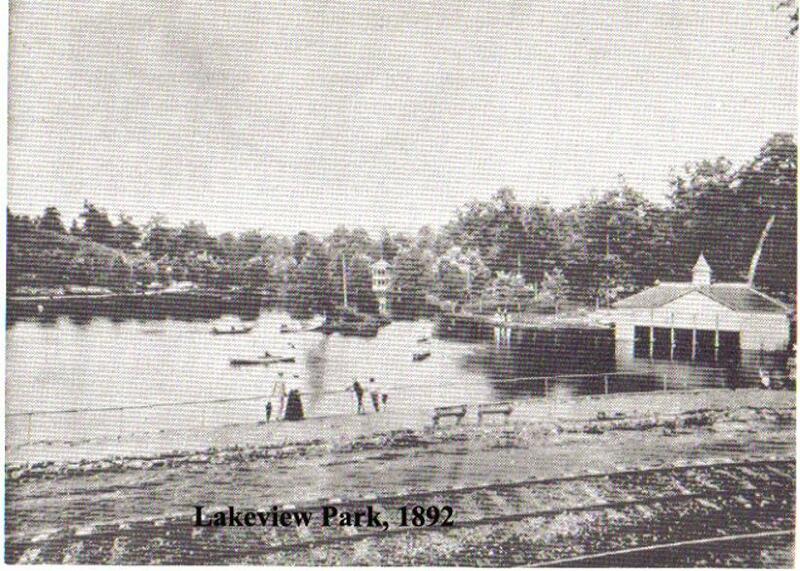 The team was led by head coach E. B. Beaumont and played their home games at Lakeview Park in Birmingham, Alabama. 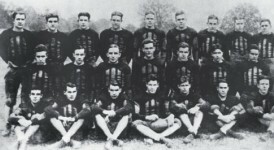 In what was the inaugural season of Alabama football, the team finished with a record of two wins and two losses (2–2). William G. Little of Livingston, Alabama is credited with being responsible for the introduction of football at the university. 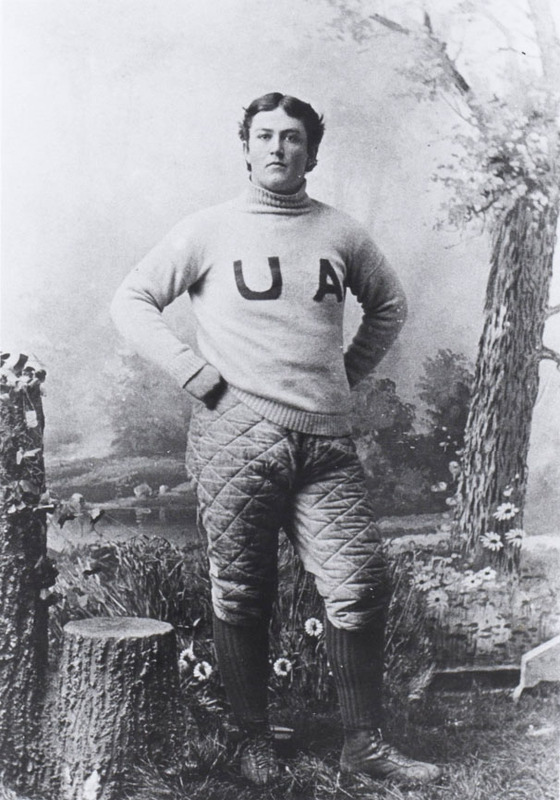 After playing the game in 1891 while in attendance at a northern prep school, Little returned to Alabama where he helped establish the first team at the university for the 1892 season. 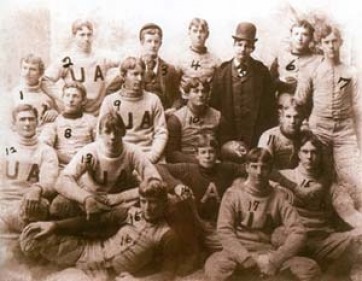 The first game in Alabama football history was played on November 11, 1892, against Birmingham High School and was won by the Cadets 56–0. 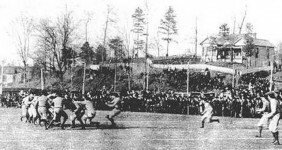 They then split a pair of games with the Birmingham Athletic Club, and closed out the season with a 32–22 loss in the first Iron Bowl against Auburn on February 22, 1893. After the season, Beaumont was fired as head coach and replaced by Eli Abbott for the 1893 season. 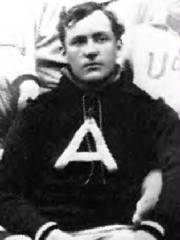 Eli Abbott played tackle for the 1892 team and later became Alabama’s head coach. 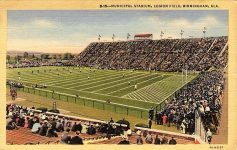 The first college football game was played on November 6, 1869, between Rutgers and the College of New Jersey. Although the sport continued to grow, it was not introduced for another 23 years at Alabama. The man credited with the introduction of football at Alabama was William G. Little of Livingston. Little attended the Phillips Exeter Academy in New Hampshire for the 1891–92 school year and it was there that he first played and became an advocate for football. Originally he intended to attend Yale University. However, Little returned to Livingston in 1892 after his brother died and then he enrolled at Alabama. 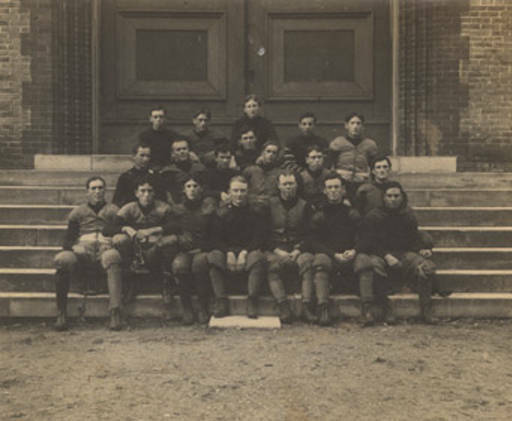 Little then proposed the university field a football team, and one was introduced for the 1892 season. As the suggestion to field the team was his, Little was selected as the first team captain for the inaugural 1892 season. 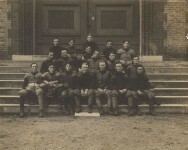 For the season, the team was called the “Cadets” as the current “Crimson Tide” moniker was not used until 1907. 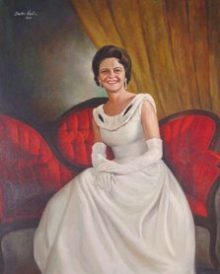 Learn more little and unknown stories about Alabama’s history with ALABAMA FOOTPRINTS Series by Donna R. Causey – Books make great gifts! ALABAMA FOOTPRINTS Confrontation: Lost & Forgotten Stories is a collection of lost and forgotten stories that reveals why and how the confrontation between the Native American population and settlers developed into the Creek-Indian War as well as stories of the bravery and heroism of participants from both sides. What is the true source for the University of Alabama elephant mascot known as Big Al? He tutored football players in math for Coach Bear Bryant – aftermath? 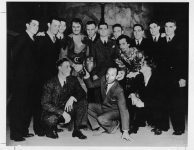 Alabama Football – Did you know Alabama hasn’t always had a mascot? 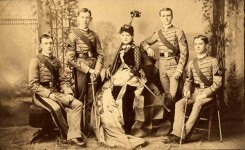 The Bottle Corps at the University of Alabama of 1886 – what a unique band! I REMEMBER THAT GAME!! ::that’s me, the person in the middle, last row!!! Roll Tide, Roll!!!! Wasn’t this AFTER Auburn had had a team for several years? Alabama football fans READ ! 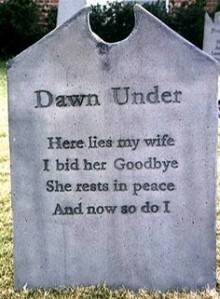 Y’all need to dig them up Cullen Blalock!! Back before there was a Tide..
Hunter Abercrombie I know. I was just talking about the Bham home games. Anita Fuentes, this is a good site. Wendy Craft thanks Wendy. I will check it out.